In-store solutions for customer communication have proved very effective in medium and large-sized retail shops for many years: with a large range of goods, customers often wish to gain access to more information about the products. Nowadays, such systems are widely accepted by customers in almost all aspects of life and trade - in particular young people can easily use these systems and take advantage of their benefits. Employees in retail, tourism and events save time and money, and gain many opportunities for extra revenue and better customer retention. Employees can focus on revenue-earning tasks, while customers access required information on their own and take the time they need. Possible applications also include employee or booking terminals, e.g. in cafeterias, offices, public institutions or hotels. Registered users use the system for check-in and out, account balance inquiries, information on promotions, price or details on certain products. The product is also suitable as an audio, video or media station, for presentations or an access terminal for product catalogues. The MK500 is technically convincing: standard features include 64 MB RAM, a rapid 520 MHz Intel XScale Processor, as well as a 1D laser scanner or a 2D imager for all bar codes in use. Quick integration into your application environment is guaranteed at the highest level through the pre-installed Windows CE 5.0 operating system. The memory can be expanded up to 2 GB with an SD-memory card. The colour display with 320x240 pixels offers pleasant, high-contrast definition and can be read even in strong ambient light. 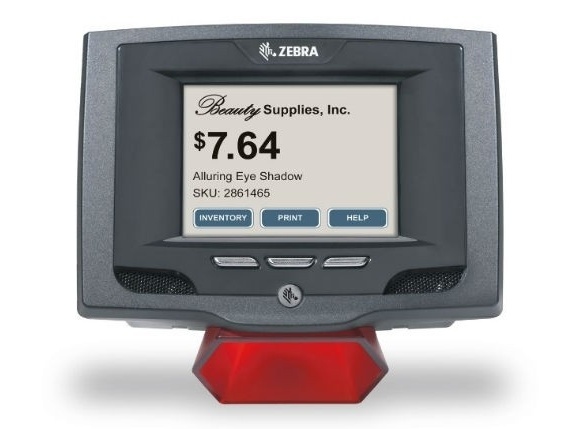 Easy and comfortable use is guaranteed through the omni-directional scanning of bar codes, via an icon on the colour touch screen, or with one of the three programmable function keys for interactive applications. High-quality sound output is produced by the integrated stereo loudspeakers. Thanks to its VESA-Mount option, the MK500 can be easily placed anywhere: on walls, columns or shelves, and especially in narrow aisles. The MK500 can be connected to an existing network through Ethernet ports or via a wireless LAN (802.11a/b/g) link as an option. Additional accessories such as a mouse, keyboards or portable printers can be plugged into the mini USB slots. The Windows CE operating system allows you to develop applications very easily, as it offers complete flexibility for employing standard applications or developing individual applications using Rapid Application Development (RAD) tools. The supplied software development kit (SDK) enables you to create applications quickly and easily. In addition to the kiosk software suite, the kit contains a fully functional demo application including source codes for HTML and C++ development environments. Users execute and display Web applications with the integrated browser – locally via the intranet, or via the Internet. The system administrator monitors the devices via an easy-to-use, menu-based configuration software with which all kinds of applications can be installed and maintained remotely.